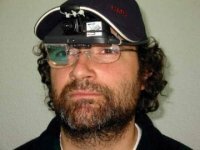 Everyone knows it is not safe to drive around if you have poor vision, but Spanish researchers hope to overcome that problem by successfully developing and testing a computer simulator that actually enables the visually impaired to drive. This system is known as SERBA (short for ‘Sistema Electro-óptico Reconfigurable de ayuda para Baja Visión’), when translation to English means ‘Reconfigurable Electric-Optical System for Low Vision’. It uses an innovative system that is based on a reconfigurable device known as FPGA (or Field Programmable Gate Array). In layman’s terms, the SERBA system can be reprogrammed easily under different and changing circumstances. Whenever a user’s vision declines, all they need to do is download a new version of the software that has been adapted to cater for this new environment without the need to purchase a new device. Guess this is a high tech version of changing the lens in your glasses without picking up a new frame. Any driver using the SERBA system will have to use the transparent viewfinder that makes him/her look like part of the Borg collective. Using a real-time video processing system that stores a number of image processing algorithms, it is capable of adapting to the user’s needs and to the evolution of their disease. To date, eight patients who are suffering from Retinitis Pigmentosa (a visual impairment that reduces the field of vision) were involved in the device’s assessment, along with half a dozen others suffering from different pathologies that generate a loss of sharpness of vision, with rather encouraging results. The software itself can be updated via an Internet connection, where the program will then be stored in the internal memory of the prototype board while the selection of the dump algorithm in the FPGA is carried out automatically. The images shown in the transparent viewfinder are no different than those used in the army, but I guess there is a limit to this technology if the disease gets progressively worse (touch wood). Still, it is great to know that such technology provides a greater degree of mobility for older folks as well as those suffering from visual impairment of some sort.